Triple camera is useful in enhancing certain effects like blur, zoom and wide angle photos. 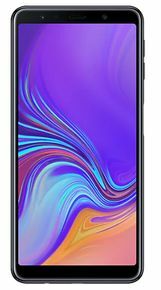 The Galaxy A7 (2018) is better looking and more comfortable to handle compared to the other better-specced competitors that it challenges. It also benefits from a well-calibrated AMOLED display, a slick side-mounted fingerprint sensor, and mature software. The Galaxy A7 (2018) comes with a 6.0-inch display with Full HD+ (1080 X 2220) AMOLED display. Samsung makes some of the best AMOLED screens and the one on the Galaxy A7 (2018) felt fine for its price. The display is also protected by Gorilla Glass (version unspecified). The Galaxy A7 (2018) is powered by Exynos 7885 processor which is a 14nm process based chip with two 2.2GHz Cortex-A73 CPU cores and six 1.6GHz Cortex-A53 CPU cores. We have earlier experienced the same chipset on Galaxy A8+ and the performance as well. We are quite happy with the overall rear camera performance, but that’s not because Samsung is using three sensors instead of two. Or, even one. price is high no fast charging in this price ,very high price max worth Rs.20000 only camera is good. and slim then other devices. Does it has NFC ?? Why is Mc versus not working in this device???? Does Samsung Galaxy A7 (2018) supports face unlock feature? Do both the SIMs support 4G Volte simultaneously in Samsung Galaxy A7 (2018)? Please correct the spec given on the site as the product does not support NFC feature. is it support dual 4g ?